I’m so excited for today! 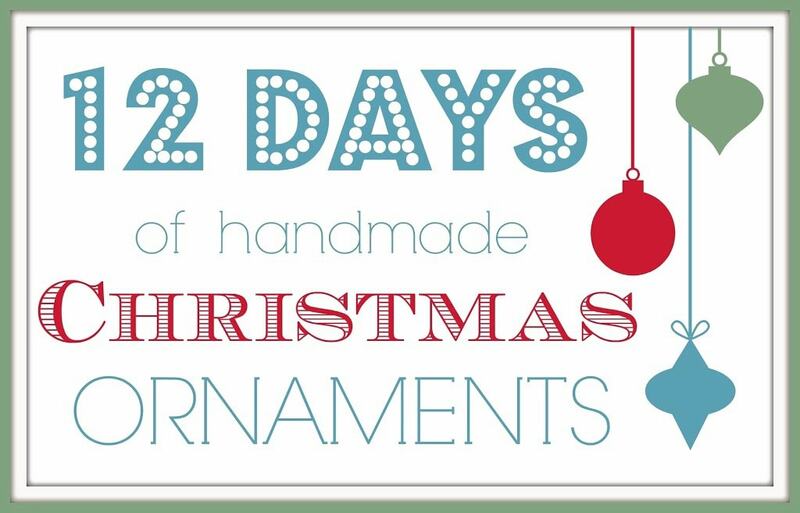 I’ve been working hard behind the scenes to create a 12-day series of handmade Christmas ornaments to share with you. And make sure you keep reading because I have some really GREAT news (that might possibly involve an amazing GIVEAWAY) at the bottom of this post! Today (day one) we’re just going to start with a little roundup to get some Christmas ornament inspiration flowing. I searched the web high and low to find these great ornament tutorials. I love them and want to make them all! Hope you like them too! And now for some EXCITING news!!! Tomorrow, December 2nd, is no ordinary day. Three years ago, I sat down at the computer, typed up this post, and decided to share my crafts with the internet world. I had no idea that it would turn into something that I love so much! I really wanted to do something to thank all of you, my readers. Giveaway is now over. So, to do that, I’ve organized a giveaway with three AWESOME prizes!! On the last day of this series three winners will be chosen. 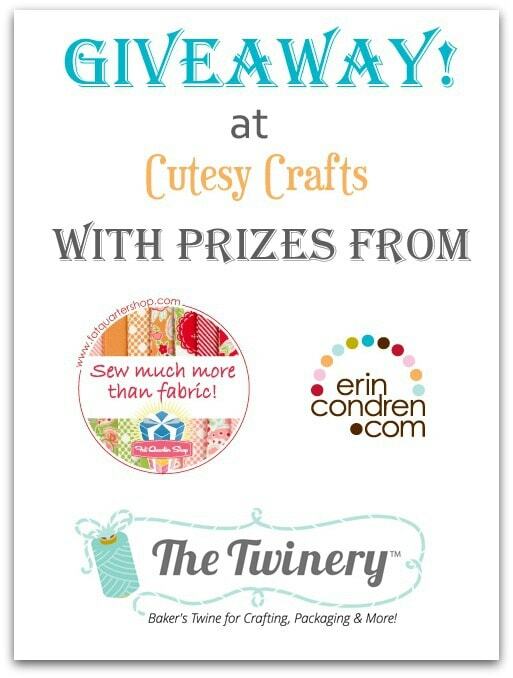 Our first lucky winner will go home with a $50 credit toward any purchase at erincondren.com! They sell the cutest, personalized planners, stationary, luggage, gift labels, calendars, and much much more! I have heard really great things about their planners, and I’ve even ordered a photo on canvas from them before. I’m going to be super jealous of whoever wins this prize! Our second winner will get a $30 store credit to The Twinery! Don’t you just love baker’s twine? How cute would your Christmas gifts look wrapped up with this?! Stay tuned because I’ll also be using some of it for ornaments in the 12 day series. Love it! 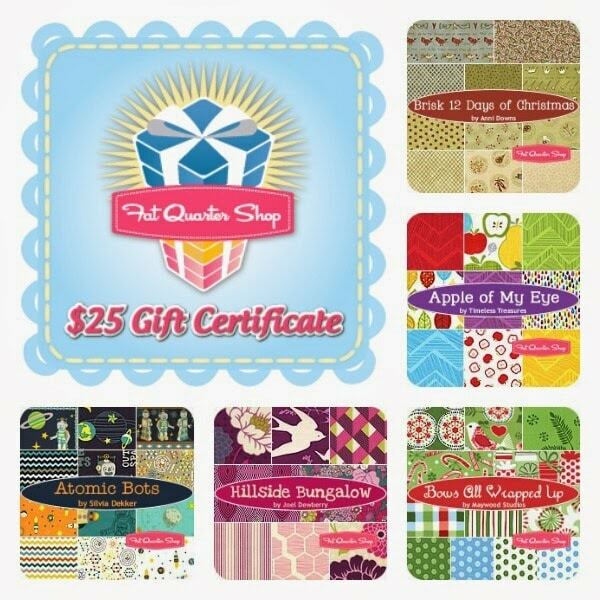 Our third winner will receive a $25 store credit to the Fat Quarter Shop! Seriously, the cutest fabric prints, and I love that they have them in coordinating bundles. Perfect for your sewing, quilting, or craft project! Again, jealous of the person who wins this prize! To enter the giveaway, just use the Rafflecopter widget below. It may take a minute to load. If you are reading this in an email, you will need to click through to the blog to enter. US residents only, must be 18 years or older to enter, void where prohibited by law. Giveawy is now over. Oh my goodness! I love all of those ornaments! I really love the cute terrarium ones, but that cup of cocoa is adorable too! I have been lame the last few Christmases, I really need to get my house decorated, and get crafting! 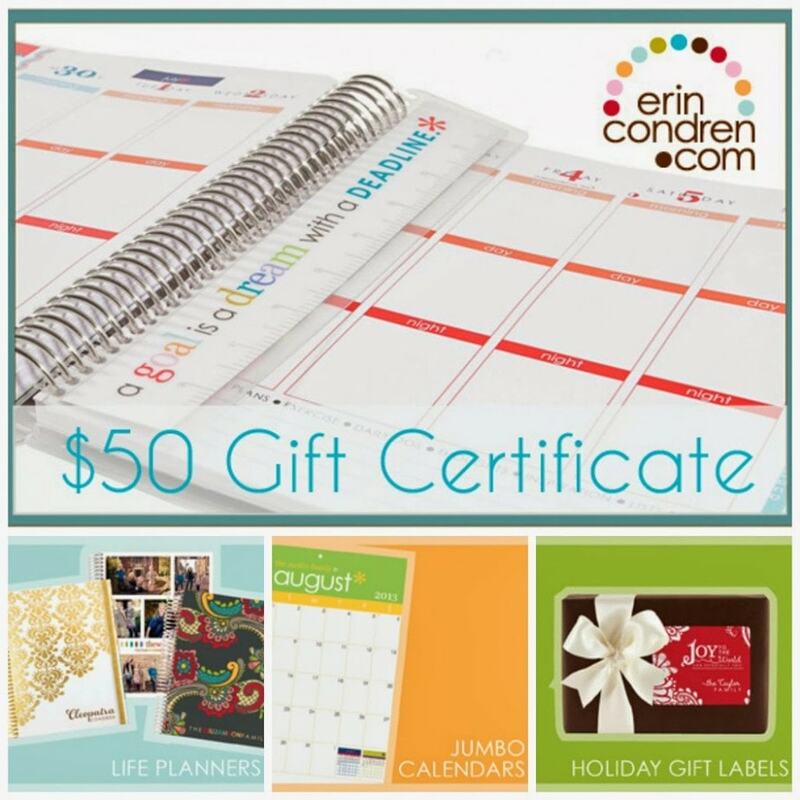 I would love to get an Erin Condren planner for the new year! What a fun GIVEAWAY and congratulations on the Blogging Anniversary! What a super fun GIVEAWAY and congratulations on your blogging anniversary!!! 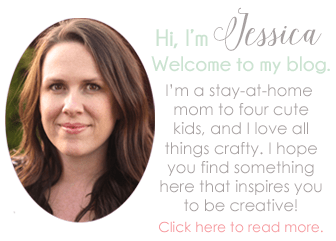 Congratulations on your Blog-iversary Jessica! Thanks so much for including my snowballs in your round-up! This is such a great giveaway! Thank you! I’m hoping to win! These ornaments are cute! I’m thinking about making the snowflake ornaments. Thanks for the contest. These are really cute! I would love any of htese great prizes! Great giveaway – the twine is divine!!! Thanks for the giveaway! 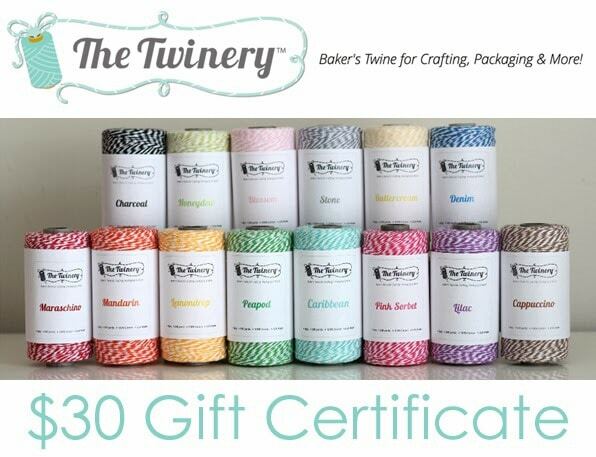 The bakers twine would be great for gift tags and wrapping presents! Love your ideas! Making the twine ornament today! Thanks! I’m going to have to check out this twinery site even if i don’t win. Who doesn’t love twine? Oh I hope I win!! Thanks for such a fun giveaway! I’d love any of those. Thanks for the chance! I love the great ideas! Thanks for sharing! I would love to win a planner as well! The twind is divine. Thanks for the giveaway. Great giveaway, love the bird. You have an awesome variety of ornaments! Thanks for a great giveaway! Really beautiful ideas. Thak you very much for sharing them. Love all of the ornaments, where to start…. I came across one of the ornaments on Pinterest! So darn cute and preschool friendly! Thanks for the giveaway and for sharing your ideas! Ornaments are so fun to make! I love seeing the variety! This year is the first year I attempted to make my own and it was FUN! Thanks for doing this series! I’d love to win the fabric, as I’m quilting up a storm since I took my first class. Love your blog. I’m on a felt ornament kick this year, and I just finished your felt deer & fox ornaments. Super cute! Thanks for the share. Thank you for this giveaway! Perfect timing for the holidays! These ornaments are so cute! I just found this and I can’t wait to get home and get started! got some amazing ideas from this website that i can’t wait to try. excited to get started making christmas ornaments this year as gifts for family and friends. i’m all about giving the personal, not commercial, touch! What a fun giveaway! 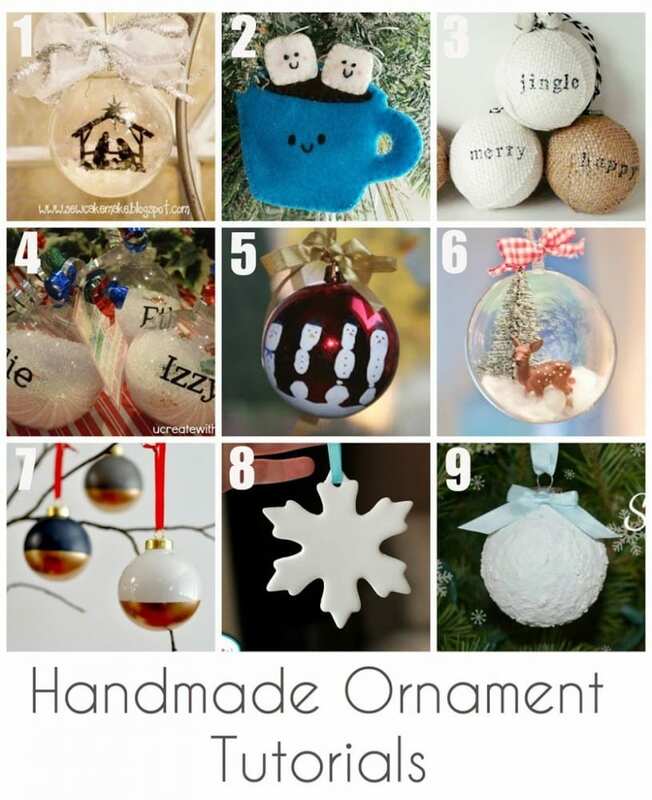 I love all the fun & creative ornament tutorials….thanks!